I've always been a huge Mustang fan growing up and very fond of the 2004 Mustangs. 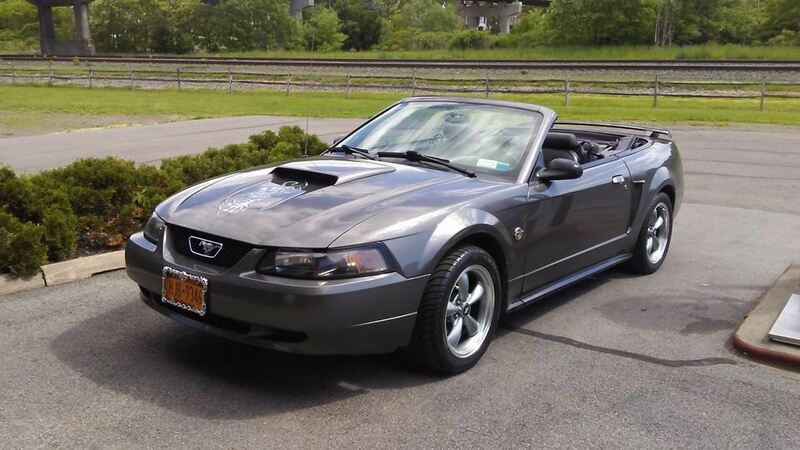 Last year while driving home from getting fitted for my Tuxedo for our wedding my fiancée at the time and I stumbled upon a 2004 40th anniversary mustang convertible for sale on the side of the road, lone and behold the kid was selling it cheap! It had a check engine light on, was missfiring and would lose power while driving. His dad explained to us it was a catalytic converter issue, but when the kid turned her over I could tell that wasn't the case. Needless to say I purchased it as a wedding gift for ourselves. She's a beautiful Dark Shadow Gray Metallic! 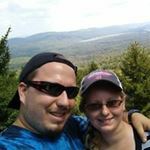 When we got back home from our honeymoon up to Old Forge NY, we got to work straight away! We drove her over to my wife's parents house to use my father in-law's diagnostic computer, reviling it was missfiring in 2 consecutive cylinders. At this point we decided to replace the spark plugs, spark plug wires, and the coil pack solving the mechanical issues! We also found the exhaust pipe had disconnected from the catalytic converters due to corrosion, so we bought replacement flanges to reconnect them solving the catalytic converter issues. Now she rides like a dream! A trip to the Drive In! June 12th 17 My wife and I painted the 3rd tail light matte black then installed the MUSTANG sticker over the front facia. May14th 17 A video of Shadow after everything we've done so far.